At a January 2002 session of the National Insulation Association’s (NIA) new National Insulation Training Program (NITP) in Houston, attendees were asked why they thought it was important to attend this type of comprehensive training program. In response, Jeff Hartzell, vice president of sales/marketing for GIS Inc., said, "I’m new to the industry and don’t have a place to go for concentrated education regarding insulation." Another participant, Sapan Shah, mechanical engineering specialist at ABB Lummus Global, concurred, "I come from a mechanical engineering background-I have a bachelor’s and master’s degree and in none of my courses anywhere have I learned about insulation." Hard to believe in today’s energy conscious environment-but typical of the kind of comments heard in Houston. It was precisely the lack of any organized training that led NIA’s Foundation for Education, Training and Advancement to develop the NITP-a program that the Houston class attendees agreed "has been needed for a very long time." Up until now, there has been no other place or organization within the thermal insulation industry that offered a truly unbiased way of looking at the engineering, application and maintenance of insulation systems. "Our industry stopped holding training programs about 20 years ago," explains William Pitkin, NIA executive vice president. "Other than direct contact with sales people, we’ve made it difficult for individuals to become more knowledgeable about insulation technology." The core goal of this new 2-day training program is to provide professionals across all market segments and job functions with a working knowledge of insulation and insulation systems design that can help avoid costly mistakes that result in system failure and injury to plant personnel. The concept is to make the process of designing, specifying, and installing insulation quicker and easier. The program provides tools developed and proven by experts, to make designing and specifying insulation systems easier and more accurate. The tools make the job of engineering insulation systems easy-once you know how to use them. Developed by a number of industry experts, the program is presented by a cadre of instructors who understand real world conditions and challenges. While insulation manufacturers have provided assistance in course development, the program is unbiased and strictly focused on maximizing the potential of people and technology. Participants receive 1.5 continuing education units for attending the program. While Jeff Hartzell and Sapan Shah are newcomers to the industry, the program is also intended for people such as Dean Cox, manager for national accounts and technical services at Knauf Fiber Glass and a veteran of more than 25 years in the insulation business. "I would also recommend to the ‘old guys’ that they attend," said Cox. "It will give them the opportunity to visit with others, discuss their problems and possibly see how others have treated similar problems and possibly improve upon their own ‘old practices.’"
For industry newcomers, learning the fundamental characteristics of heat flow, the way heat transfers from one medium to another, and how heat flow through insulation is measured, is essential. This "insulation science" is covered at the very beginning, setting the foundation for the rest of the course. While a discussion on "What is insulation?" "How does it work?" and "Why do we insulate?" may be very basic for some, the Houston discussion proved to be a welcome refresher for the more experienced attendees. Energy consultant Riyaz Papar saw the value of seeing things from a different perspective, saying, "While I personally knew the science, design and engineering concepts because I have specified insulation in process industries, this class made me think in ways I would not have thought of before." 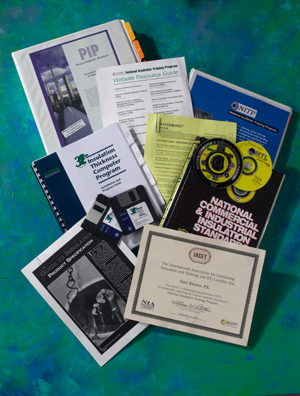 The training program is designed to appeal to anyone involved in any way with insulation systems, regardless of job responsibility or level of experience, including: building systems specialists, mechanical engineers, heating, ventilation and air conditioning systems specialists, plant managers, facilities engineers, specifiers, systems designers, estimators, specification writers, and sales representatives. Jack Irvin, sales manager at Specialty Products and Insulation, commented on the diversity of the Houston class. "In all my years in the insulation business, this is the first program that I know of that involved the participation of engineers, general contractors, insulation contractors and representatives of the insulation material manufacturers," he said. While Papar would recommend the class for "people who do insulation design, specification and application," he also thinks that "contractors, distributors and sales representatives would …benefit tremendously …and be better able to provide a better product to their customer." While insulation is "applied" every day, it’s rarely "engineered" into the system and subsequently doesn’t perform to its maximum potential-or deliver the expected return on investment. 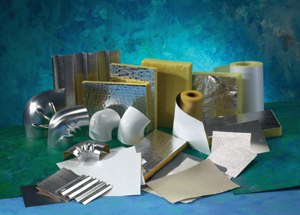 Insulation systems include more than the insulating materials themselves and, like other engineered systems, the correct combination of components is vital to all aspects of performance. This is where the training provided in the NITP class becomes critical. Unless insulation is correctly engineered and installed, neither the insulation nor the process can perform to capacity. The result is condensation, corrosion under insulation, equipment and process failure and energy loss and money lost, to name several. Through a series of six different modules or segments, attendees learn how to use the tools and resources provided in the class to engineer the right insulation system for a particular application. The segments are presented in a sequence that begins with fundamental principles and drills down into the details of product selection, system design, thickness determination, specifications, and system maintenance. Segments are augmented by breakout sessions and class exercises. Commenting on the value of the breakout sessions, Chris Gerd, territory manager for Johns Manville Corp., said, "I went into the class knowing very little about industrial facilities and how to insulate them. By the time we did the group breakouts and worked through the information we received I gained a lot of confidence and a tremendously greater understanding of not just how to insulate an industrial facility, but a lot of the long and short term concerns that need to be addressed to do the job the right way." Engineering a system correctly is a systematic "process"-one that depends on selecting the right components for the application. Attendees learn to go through the process step by step, finding out how to select the right insulation product, at the right thickness, with the right protection and finish (all the while making sure it’s suitable for the environment to which it will be exposed). Attendees also learn to consider installation requirements and inspection and maintenance procedures to assure the long term performance of the system. An essential component of the "process" is establishing selection criteria before choosing an insulation product. Learning how to prioritize criteria is a critical element of the program’s systematic approach to proper insulation design. Because facility/plant managers and building owners are generally unaware of the role insulation plays in their facility or process, they often don’t view it as a critical component. One of the program’s goals is to make attendees aware of the benefits and tremendous savings potential of a well-engineered insulation system. "The information explaining payback to anyone who improves their own insulation systems is a must for every insulation maintenance person, operating engineer and owner," said Cox. "Not only will they hear how they can reduce operation cost and greenhouse gases, they get the tools necessary to document and justify the thermal insulation improvements in their plants." "In standard engineering curriculums," added Papar, "we do not pay much attention to insulation other than when we are doing heat transfer problems and typically it’s used with an R-value and that’s about all. But this course proves and answers the basic question WHY INSULATE?" The course uses actual case studies that reinforce the benefits of insulation and answer the question: WHY INSULATE? Insulation on bare process lines and equipment can reduce the energy lost by as much as 95 percent. By reducing heat loss or gain, insulation maintains process temperature at its predetermined value. If energy is being saved, then all of the pollution associated with the generation of that energy is also saved. Insulation reduces the surface temperature of piping or equipment to a safer level. Insulation is used to encase or enclose noise generating sources and reduce noise to acceptable levels. Insulation is one of the few technologies where the payback for the investment is considered more than acceptable when compared to many other equipment maintenance purchases. Along with raising awareness of the benefits of insulation, the program is designed to raise the awareness of insulation professionals themselves and their role in energy conservation. Attendee Brett Stone, technical sales representative at C.E. Thurston & Sons, emphasized that point when he said of the program, "It helps you understand the positive impact that an insulation professional can have on energy consumption, efficiency, and emissions." How much will be lost by choosing not to insulate? What is the impact on emissions reduction? What is the impact on the process? What is the impact on personnel safety? "The exposure to the 3E Plus® software was great," said Hartzell. "I found it interesting and know it will be a valuable tool for me to use in providing my clients with the proper insulation for their needs." Attendees come to this segment of the program having identified all of the criteria necessary to put together an insulation system. In addition, they have selected the "right" insulation and determined its thickness. However, as attendees soon find out, it’s at this point that communication problems can develop. Many times, what the specification says may not really apply in the field-or the designer hasn’t considered installer or application issues that can affect performance of the specified system. Accurate installation, however, is critical to performance. During this segment, attendees become familiar with the MICA and Process Industry Practices (PIP) tools which illustrate the correct application of all kinds of insulation systems. The purpose of using the illustrations is to visualize for the specifier, installer and inspector the correct application of materials on specific installations. This segment also includes an installation demo and discusses the various materials and accessories available. "I liked the concept of people actually getting a chance to see the different types of insulation materials available in the market," said Papar. " It’s a very hands-on, touch and feel type of class. We need to have more of this in our industry." At this point in the program, attendees understand that insulation is a time tested and proven technology and that they have the sophisticated tools to make life easier. Now comes the hard part-getting them to change their old habits. The instructors stress that pulling out an old specification and "dusting it off" hoping it’s good enough just won’t work. In this segment, attendees become familiar with the resources available for writing specifications, including industry standards, manufacturer’s data, master and guide specifications, and a specification development software program. Hartzell said particularly liked this segment of the program. "Through the group exercises and with the direction of more seasoned industry professionals, I was able to gain valuable knowledge in the area of writing specifications," he said. become familiar with maintenance indicators and how to inspect insulation systems. decide on the appropriate maintenance actions for insulation system materials. appreciate what it takes to manage multiple insulation systems. At the end of the 2-day program in Houston, participants arrived at a much better appreciation of the science and engineering behind the selection, specification and installation of insulation. Irvin was very enthusiastic, saying, "The overall knowledge gained is tremendous and will benefit each individual from the point of specifications through to the installed finished product." Bill Brayman, president of Brayman Insulation Consultants, liked the content of the program: "The accuracy of the topics was excellent and did not favor any one insulation or accessory manufacturer while presenting positive enhancements of energy savings through the use of many different types of industrial insulation systems." Wayne Scott, Sr., inspector-pressure equipment for Shell Deer Park Refining, said, "I now have a better understanding of several important facets of insulation systems." And Gary Kuzma, senior vice president for HOK, weighed in on the class materials, "…an excellent resource…(will) make a great contribution to my resource library for future use." Daniel King, branch manager for Specialty Products and Insulation, summed up the two days this way: "This program… will bring much needed awareness to the importance of insulation systems. Soon, industry professionals will better understand the ‘Power of Insulation’ and the role it can play in today’s energy conservation efforts."